It’s Christmas Eve, 1864, and President Lincoln anxiously awaits news from General Sherman who has marched 62,000 Union troops toward Savannah with no supply lines to reinforce his troops. Six weeks have passed with no news from Sherman. A Union victory may hasten the end of the Civil War, but Sherman’s defeat might not only dash the hopes for victory, but also spell the end to the passage of the 13th Amendment in Congress. Lincoln has spent many sleepless nights awaiting word from his General. Such is the setting for Ken Bradbury’s newest play, A Hardscrabble Christmas, to be presented at the U.S. Grant National Historic Site (Grant’s Farm) on December 19th. 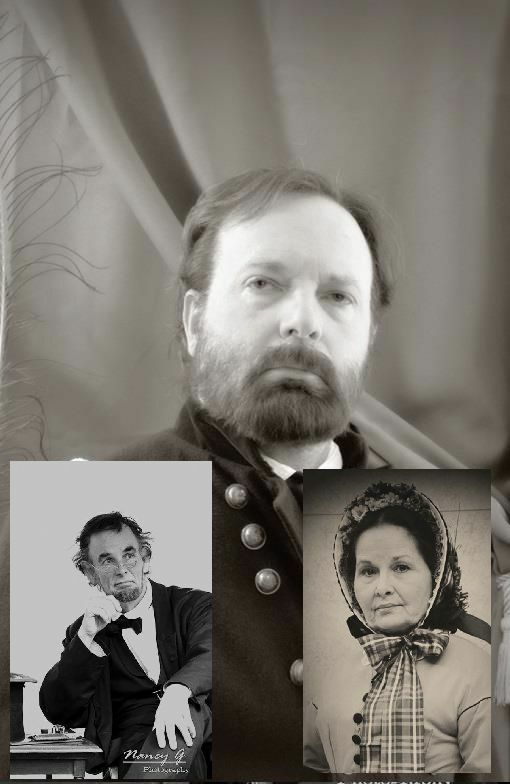 The one-act play features Fritz Klein as Abraham Lincoln, Pam Brown as Mary Lincoln, and Dennis Rendleman as General Grant. “Hardscrabble” was the name given by Grant to the first house he and his wife, Julia, built on the St. Louis property. The play will be presented twice, at 10 a.m. and 2 p.m. at Grant’s Farm. For information, call 314.842.1867.